Following a recent WIRED piece that smears the whistleblowers at Google who have reported widespread misconduct at the company, including the rampant abuse and intimidation of conservative employees, a senior Google Vice President is now promising retribution against employees who speak up. For the past several months, Google employees have been anonymously sharing evidence of alleged harassment, intimidation, and misconduct directed at conservative employees of the company. These include intimidation, open threats of violence, abuse of the HR system, and racist and sexist comments that go unpunished by Google. According to former employee James Damore’s class-action lawsuit against the company, many of these instances constitute labor law violations. The WIRED story was widely circulated within Google by social justice activists, in an attempt to intimidate their peers from sharing their knowledge of labor violations with Breitbart Tech and with Damore’s attorney. WIRED interviewed many of the worst extremists at Google, who attempted to recast the whistleblowers as “doxers” and “harassers,” although they provided no evidence to support these claims. Sometimes, like yesterday, I am…saddened? taken aback? disgusted? by the thought that there are Googlers coming to work filled with gate towards their colleagues. I’m not even sure what adjective to use….but it’s sad. 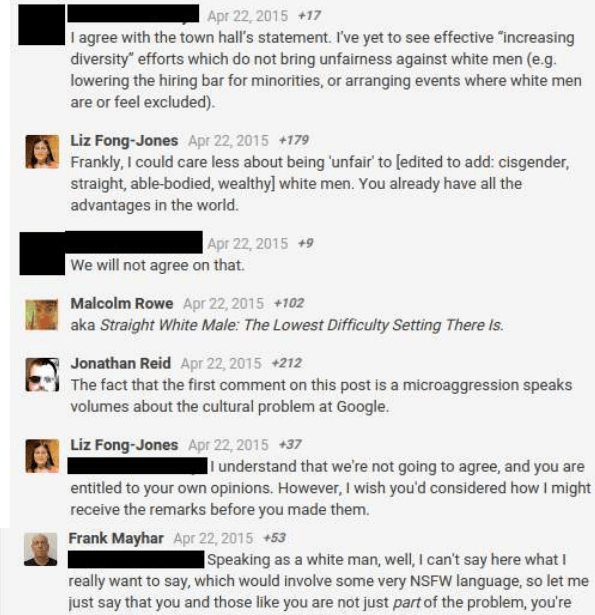 No matter the topic, there’s just no room for hate at Google. But then again, I remind myself that 99.99% of our colleagues do not fall into that group, and that we can’t let a small fraction of employees dominate our thoughts, feelings, and culture. That makes me hopeful that we can overcome the attempts to create a culture of hate and fear. But that is little comfort to the Googlers who are being doxxed or harassed. I hope we will identify those behind this reprehensible conduct. All Googlers are responsible for upholding a workplace and culture that is free of harassment, discrimination, misconduct, bullying, and retaliation. 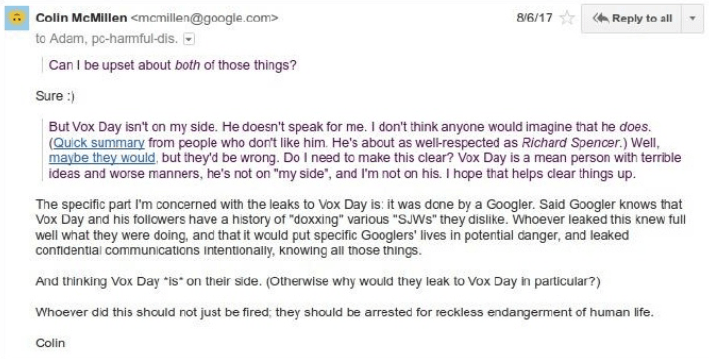 Breitbart Tech emailed Google’s press department to give them an opportunity to distinguish between whistleblowing and “doxing,” and to highlight the specific instances of the latter that Hölzle might have been referring to in his post. Google has yet to respond to our email, although they have opened and read it — sixty-four times and counting, according to mailtrack. In a comment to Breitbart News, James Damore’s lawyer Harmeet Dhillon slammed Google managers for attempting to conflate whistleblowing with harassment. It appears that some managers in Google are deliberately attempting to conflate whistleblowers taking legal action and bringing public attention to unlawful work practices within Google, on the one hand, with inappropriate harassing activity such as “doxxing,” “stalking,” etc., which some Google employees are self-reporting, on the other hand. 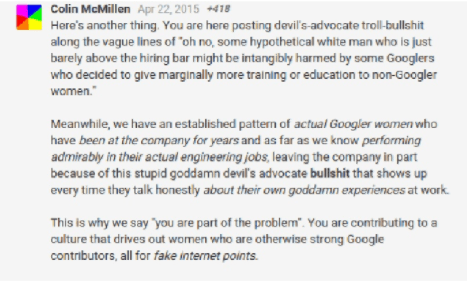 First, of course, this is false – reporting work practices barred by law – including Google’s well-documented blacklists, quotas, and punishment of anyone who dares take issue with a “diversity” drive that runs afoul of the law, is not equivalent to online stalking or harassment, which are loathsome practices rightly condemned by good people. Second, it seems clear given the apparent coordination between friendly media outlets and internal social media efforts within Google, that what we are seeing is yet another attempt by people with power at the company to bully, socially harass, and threaten whistleblowers into retreating from their legally protected activities, which of course has a chilling effect on protected activity for all Googlers. To that extent, managers at Google seeking to strike fear into the hearts of the minority of employees who dare to take issue with the abuses the lawsuit has uncovered, this behavior may constitute further retaliation under the California Labor Code, and is deeply troubling. There is a fine line between expressing oneself, and shutting down the expression of others seeking legal redress – and that line has legal significance. We are not aware of any evidence that any conservative Google employee is involved in “doxing,” “harassment,” or any other illegal activity. 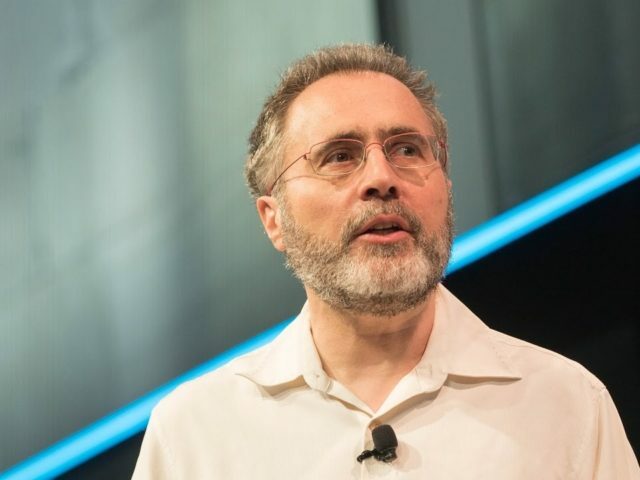 The apparent intent of Hölzle’s threat is to intimidate employees from exercising their lawful right to report Google’s severe and pervasive workplace problems to outside parties. WIRED also interviewed Alon Altman, a senior engineer at Google who has openly admitted to keeping blacklists on fellow employees at the company, for no other reason that they hold conservative beliefs. In August last year, Altman called on Google’s management to “severely discipline or terminate” anyone who agreed with Damore’s call for more viewpoint diversity. Hölzle, like WIRED, portrays victims as bullies and bullies as victims. His goal appears to be nothing less than the silencing of whistleblowers at Google.